The Kuroiler chicken is a dual purpose hybrid breed developed in India. It was created by Vinod Kapur of Kegg Farms Private Ltd. in the early 1990s. And the name ‘Kuroiler’ is a portmanteau of Keggg and Broiler. The Kuroiler chicken was created by crossing either White Leghorn roosters with Rhode Island Red hens, or colored broiler roosters crossed with Rhode Island Red hens. The eggs of Kuroiler chickens are hatched in more than a thousand ‘mother units’ throughout the country, instead of raising all in a central hatchery. Then are distributed down to the individual villages as day-old poultry chicks. And the breed is very popular among the large numbers of landless or smallholder farmers in India. The breed has popularity in the rural areas of India, including; Chhattisgarh, Jharkhand, Meghalaya, Mizoram, Uttarakhand, Uttar Pradesh and West Bengal. Most importantly, the rural women of India breed Kuroiler chicken as a full time or part time business. The Kuroiler chickens have also been exported to some countries with success, such as Kenya and Uganda. Review Kuroiler chicken breed details below. Photo from KuzaBiashara. Breed Details The Kuroiler chickens are dual purpose breed suitable for both meat and egg production. They are economical breed, and can live eating the kitchen and agricultural waste. 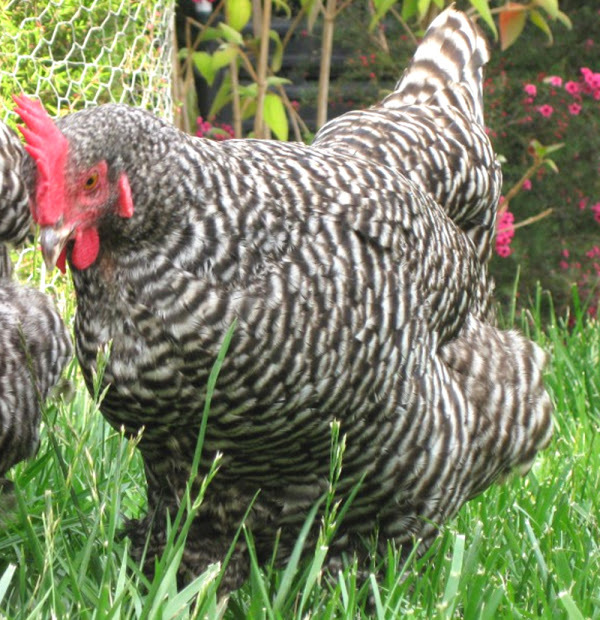 Native Indian hens lay only about 40 eggs per year. Whereas the Kuroiler hens can produce around 150 eggs per year by consuming such agricultural and kitchen waste. Native Indian chickens weight less, but on an average the Kuroiler roosters weight approximately 3.5 kg and hens about 2.5 kg. The Kuroiler chicken is also resistant to diseases, due to it’s unique genetic features. This breed is a potential bio-converter of household, no cost agricultural and natural waste abundant in village into human protein food. And also creates substantial incomes for rural households. Kuroiler chickens need to feed continuously and they are fast growing chicken breed. The hens are not broody. Review full breed profile of Kuroiler chicken below.